Everyone, deep down inside, fancies themselves an expert on the Old West. After all, we've seen every John Wayne western there is, binge-watched HBO's Deadwood, and took a a couple history classes in college. What else is there to know? Well a lot: much of America's most romanticized and glorified piece of history is still very much a mystery, so sit back on the porch, poor some whiskey, and let us fill you in. Here's the truth of the Old West. $30,000. That's the cost of 75 camels imported from the Middle East and Mediterranean by the United States Army in 1857. With the transcontinental railroad still a distant pipedream, camels were believed to be one of the keys to expanding westward across the wild and untamed land. 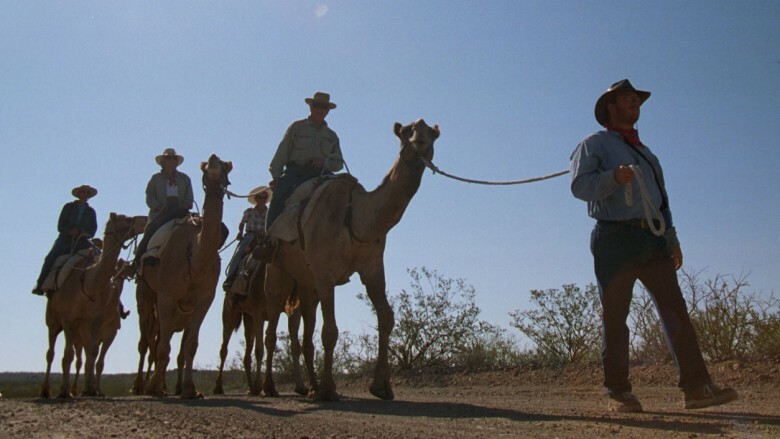 Originally only used in Texas to haul supplies short distances, Washington eventually ordered that Edward Fitzgerald Beale take a couple dozen camels all the way to California. With the help of these camels — themselves no stranger to long journeys with minimal food and water — Beale succeeded in doing what many thought impossible, arriving just north of Los Angeles after trekking more than 1,200 miles. Indeed, with railroad travel being the way of the future, it seemed that camels were the way of the now — with Jefferson Davis-appointee Major Henry Wayne stating: "Americans will be able to manage camels not only as well, but better than Arabs, as they will do it with more humanity and with far greater intelligence." That's cold, even for a Confederate. Yes, the American camel craze was real. Congress, however, was not so keen on purchasing more camels and, together with the mule lobby (which was a thing), smothered the burgeoning camel movement — until the Civil War put it to bed, forever. With the secession of Texas came Confederate control, and the rebels figured the best thing to do with these government-bought camels was to let them graze. According to Smithsonian, some camels were caught and sold. Others were used by the Confederate post office, while one was reportedly pushed off a cliff. Some became famous, like the 43rd Mississippi Infantry's Old Douglas, who sadly died in battle during the siege of Vicksburg. There are loads of interesting camel stories recorded in America's western history, though few seem to know about them. Perhaps most interesting are the feral camels that freely roamed the range, providing a pleasant surprise to those lucky ten-or-so who happened to spot one in the postbellum period. And the most interesting of these is undoubtedly the Red Ghost — a monster who roamed the Arizona desert, trampled a woman to death, could disappear into thin air, and had human remains latched onto its body. You just can't make this stuff up. Everyone knows about the Battle of Gettysburg, but do you know about the Battle of Glorieta Pass? Probably not. Known as "the Gettysburg of the West," Glorieta Pass was one of the only significant Civil War battles to take place in the Old West. The scale of the battle was small, with only 2,500 soldiers in total, but the importance of the battle was massive — at least as far as the Wild West was concerned, with a huge territory of mineral-rich land awarded to the victor. 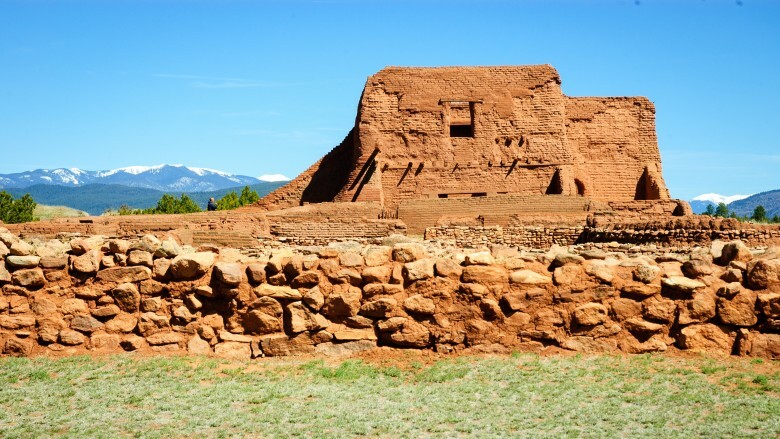 Additionally, as described by the National Park Service, capturing New Mexico meant gaining access to the mines of Colorado, the extension of slavery into California — with its 1,200 miles of coastline and blockade-free ports — as well as the ability to use Arizona as a means of invading Mexico. With the battle nearing an end and exhaustion setting in on both sides, it appeared that Confederate Texas was positioned to claim victory. However, the New Mexico Volunteers shrewdly climbed down the Glorieta Mesa cliff face, surprised the virtually defenseless Confederates below, and destroyed the entire supply train at Johnson's Ranch — a huge blow to the invading army. The Confederates retreated back to Texas, and the Union maintained permanent control for the remainder of the war. Tell this story to any racist uncle of yours who fancies himself an expert on the Civil War, and watch his mind get blown. They say there's no rest for the wicked, and the bizarre case of Elmer McCurdy proves the validity of that statement. The Notorious E.L.M. was born in 1880, and didn't have much going for him. Like more than a few children of the time, McCurdy was orphaned — pretty much assuring his prospects in life would be few. Indeed, he lived to be only 31 years old, after a life of alcoholism, lead-mine induced tuberculosis, alcoholism, and blundered bank robberies. According to National Public Radio's Snap Judgement, McCurdy once blew up an entire bank, leaving only the safe standing, "unscratched and unharmed." That's like how the Three Stooges would rob a bank. His criminal incompetence would ultimately prove to be his downfall, as he once robbed the wrong train — he presumed it to be housing $400,000, but it really had $46 and two jugs of whiskey. How could one's day get any worse? Well, this bungled burglary eventually leading to his hiding in a barn, before getting shot in the chest by the authorities. Ah, that's how. What's weirder than this unlucky outlaw's life, however, is his afterlife. Because nobody cared about him whatsoever, he never received a proper funeral. Instead, the funeral director pumped his body full of arsenic and embalming fluid, turning him into one fine Wild West mummy. According to NPR, the funeral director was mighty proud of his handiwork, so he charged people to come and take a look … even putting the entrance fee right into the poor dead guy's mouth! Then, one day, some dude showed up pretending to be McCurdy's brother, and — with none the wiser — took the mummified corpse and made it his West Texas carnival's main attraction. McCurdy's mummy changed hands multiple times, becoming more and more famous with each exhibition — until he was almost as well-known as Billy the Kid himself. His fame would ultimately plummet, and his body was eventually forgotten, covered in glow-in-the-dark spray paint and hung from a noose in the haunted Long Beach amusement park ride "Laff in the Dark" — until a camera crew filming The Six Million Dollar Man in 1976 accidentally ripped the presumed-to-be-mannequin's arm off, revealing human bone. So where is McCurdy now? Resting in peace beneath six feet of concrete in the place of his death: Guthrie, Oklahoma. Gambling is most frequently seen as a recreational activity, as a means of entertainment, or — at worst — an addiction. In the Old West, however, gambling was more than any of that. For many individuals who ventured into the wilder territories, gambling was a profession. 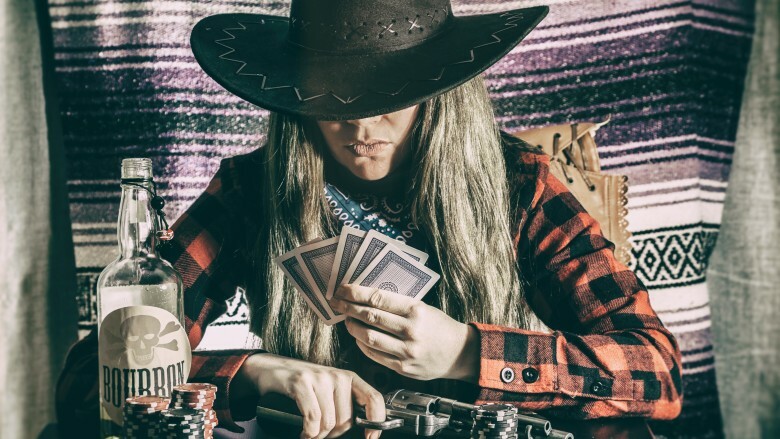 According to R.K. DeArment, in the appropriately-titled magazine Wild West, anyone crazy enough to venture west in search of a new life was a natural gambler — they were, in many cases, gambling with their lives. 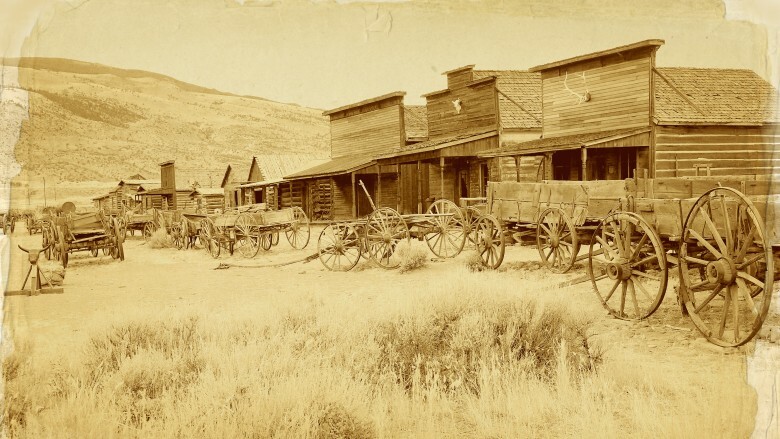 The west was all about taking a chance — whether staking it all on a California land-claim in search for gold, or making your trade as a full-time card shark. Writes DeArment, "In the early West, gambling was considered a profession, as legitimate a calling as the clergy, the law or medicine." With the growth of western cities came more and more gambling emporiums. In the words of DeArment: "Denver, Kansas City, Omaha, Tucson, Hot Springs, Ark., and the Texas cities of Austin, San Antonio, Fort Worth and Dallas were recognized as wide-open for gambling of all sorts — from cheating three-card monte scams to high-stakes poker and faro games in elaborate casinos." California was basically heaven for professional gamblers, many of whom made a mighty fine livin' liberating prospectors and gold-buyers of their newly acquired shiny stuff. Klondike was no different, with legendary gamblers like "Square Sam" Bonnifield and Louis "Goldie" Golden putting the likes of Phil Ivey and Daniel Negreanu to shame. A word of warning to anyone lookin' to hop in their time machine and win some cash off some gold prospectors: many of the best gamblers were notorious cheaters. Either that, or they'd just shoot you if they lost. Either way, just stick to online poker. Did you know that once upon a time, ginger giants roamed the territory of Nevada, terrorizing their Native American neighbors and eating human flesh? It's true! Kind of. 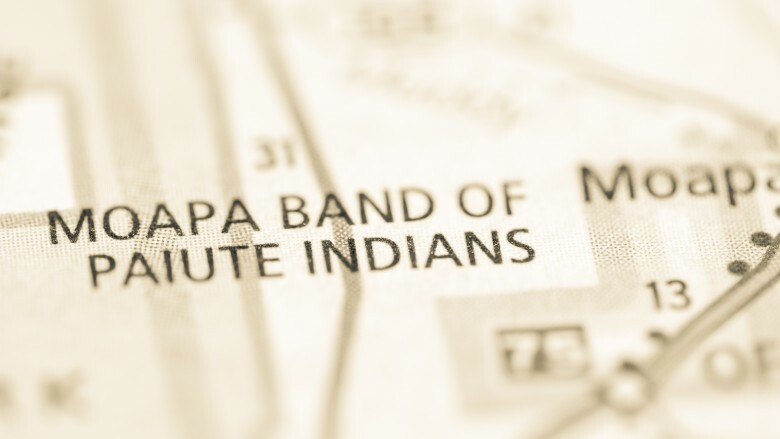 According to Northern Paiute author, activist, and educator Sarah Winnemucca Hopkins, her tribe told stories of a red-haired cannibalistic tribe called the Si-Te-Cah. As dictated by oral tradition, the Si-Te-Cah — whose name implies they ate a fibrous water plant — warred with the Northern Paiute, who defeated the cannibals. With the help of neighboring tribes, the Paiute managed to trap all surviving Si-Te-Cah in a cave, before lighting the cave entrance on fire and eradicating the red-haired tribe forever. 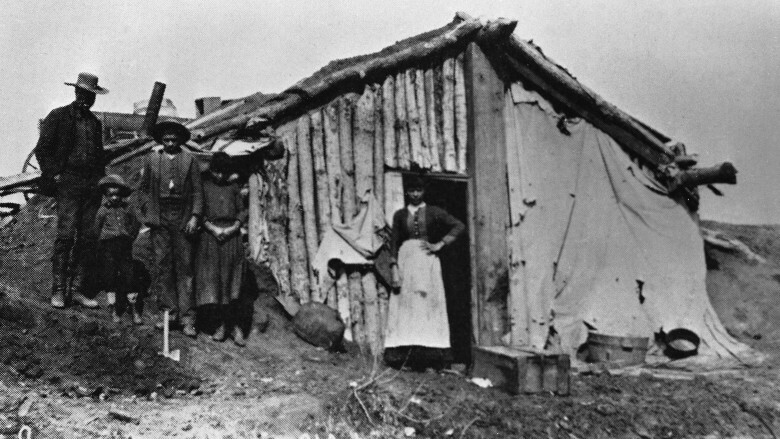 Winnemucca writes in her book Life Among the Piutes: Their Wrongs and Claims: "My people say that the tribe we exterminated had reddish hair … I have a dress which has been in our family a great many years, trimmed with the reddish hair … It is called a mourning dress, and no one has such a dress but my family." She also mentions that her tribe, upon annihilating the Si-Te-Cah, were referred to as both "conquerors" and "enemy," while never mentioning today's belief that they were giants. On a related note, classical folklorist Adrienne Mayor is skeptical about the height of Si-Te-Cah, claiming in Fossil Legends of the First Americans that the cannibalistic tribe was probably of normal height, and that enterprising individuals made them out to be giants either intentionally or by accident, mistaking the bones of mammoths or giant cave bears for human remains. Though the Si-Te-Cah may have been tall by European standards, they probably weren't giants. Still, red-haired warring tribes of cannibals does help the Wild West live up to its name, and makes us wonder why Hollywood hasn't made 50 movies about them already. 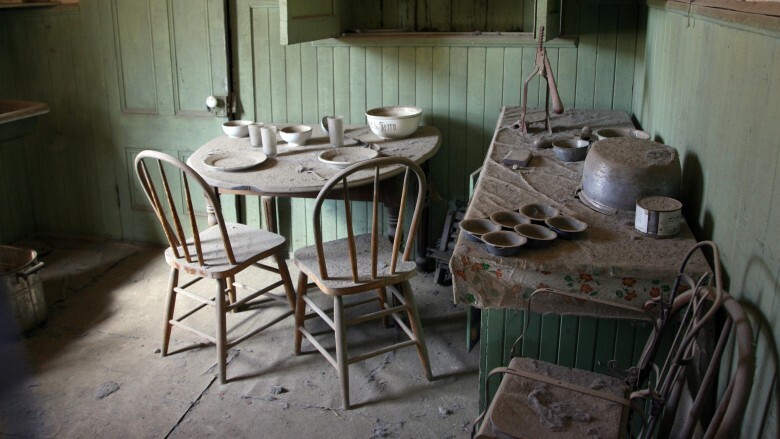 East of the Sierra Nevada mountain range lies one of America's most authentic ghost towns, Bodie. It's a popular destination for Old West fans and tourists alike — just don't steal anything from there. What separates Bodie from other abandoned mining towns is the sincere belief that it's cursed. According to various reports and accounts, stealing items from Bodie has dire — and permanent — consequences. It doesn't matter what you pilfer, either. If you take anything, from a rusty nail to a hot water heater, you'll apparently be cursed with bad luck forever. And, according to those afflicted, it's some real serious misfortune, including death, serious injury, or — worst of all — heartbreak. Because of the curse, many individuals who've stolen souvenirs from the town have returned them, often by post, to the park authorities. The Observer-Reporter once reproduced some excerpts from letters accompanying the returns, including one from Germany, reading: "We saw that nail on the ground and had the feeling we have to take it with us … now after these years of bad luck, we decided to send the nail back to the ghost town, in hope our luck comes back." The Lodi News-Sentinel even reported that a woman returned the nail that punctured her tire when driving through town. Maybe the Bodie ghosts just have a thing for nails. Skeptical about the Bodie curse? 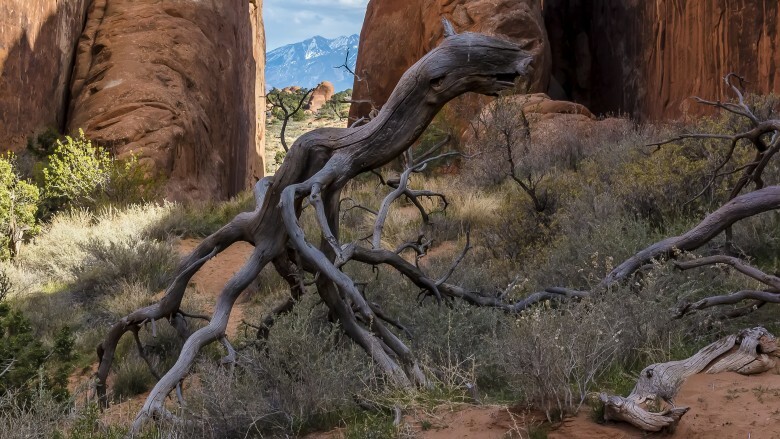 Why don't you go pay the ghost town a visit, steal a nail, and see for yourself? Let us know how it turns out for you. Many people emigrated to the Old West in search of fame and fortune, with some even lucky enough to find the latter. But don't worry, you still haven't missed your chance at striking it rich in the western frontier! There are still loads of missing mines just waiting to be found. 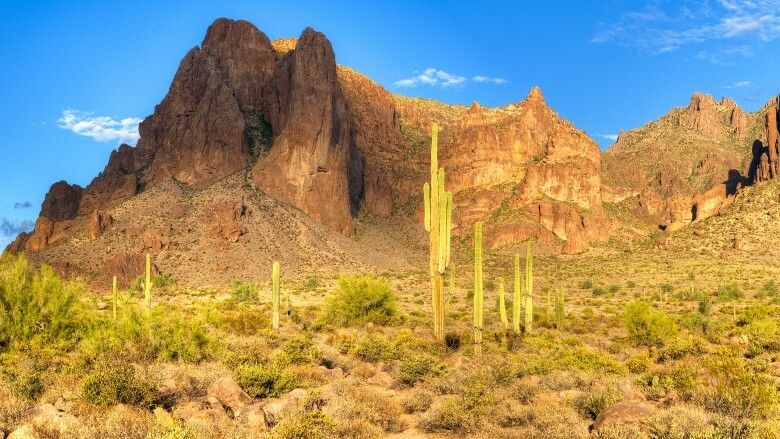 The most famous one might be the Lost Dutchman's Gold Mine, which is believed to be located somewhere in the appropriately-named Superstition Mountains, east of Phoenix, Arizona. Many have searched for German immigrant Jacob Waltz's 19th-century gold mine, but to no avail, with some people even dying whilst on the hunt. Perhaps you're into lost mines of lesser renown. If so, you can always go seek the Wheelbarrow Mine in Idaho, located 3,871 feet above sea level, at coordinates 46.9975° N, 116.7833° W. (In layman's terms, take a left toin at Albucoique, then go north a whole bunch.) You can also go after Adams Diggings, a gold-rich canyon somewhere in New Mexico, or search for the Lost Blue Bucket Mine in Oregon. If you want to dig for a truly deep cut, seek out Janni's Chimney in Northport, Washington — it supposedly hides deep veins of high-grade galena. When you do strike it rich, remember what site pointed you in the next direction, and make sure to share your spoils with us. Aliens loved the Old West, probably because it had so much space. Bad puns aside, alien abduction stories aren't a particularly recent phenomenon. They're not even a 20th-century phenomenon, with one of the first documented sightings of aliens happening in Lodi, California, in 1896. Yes, real-life cowboys and aliens. According to Civil War veteran, and journalist, Colonel H.G. Shaw, he and a buddy happened across some extraterrestrials who, as recounted by the Lodi News-Sentinel, "were 7 feet tall and very slender with small hands, fingers without nails, and feet twice as long as normal and functioned similar to a monkey's feet." In the words of Shaw: "I have a theory … those we beheld were inhabitants of Mars, who have been sent to the earth for the purpose of securing one of its inhabitants." Well … we hope it was only a theory. Shaw's sighting was, of course, not the only extraterrestrial experience in the Old West. In 1897, almost a decade before man would take flight, Texans were spotting cigar-shaped flying vehicles cruising over the deserts on Aurora, Texas. Later that same year, according to the Times Daily, "a UFO allegedly slipped from the heavens and exploded in the middle of the town" — though some skeptics claim it was just a meteorite.